Desmond Mackin (37), a Catholic civilian, was shot dead by the Provisional Irish Republican Army (PIRA) in the Cracked Cup Social Club, Leeson Street, Lower Falls, Belfast. Mackin was involved in an altercation with PIRA members, part of a feud between the Official Irish Republican Army (OIRA) and the Provisionals. 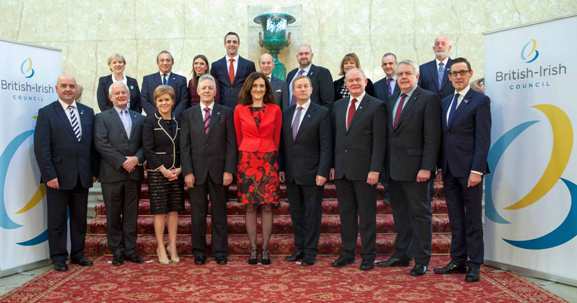 Representatives of the Social Democratic and Labour Party (SDLP) held another meeting with William Whitelaw, then Secretary of State for Northern Ireland. There was a hunger strike at Crumlin Road Jail at the time and Whitelaw conceded ‘special category’ status, or ‘political status’ for paramilitary prisoners. Representatives of Loyalist paramilitaries held a ‘conference’ which announced their support for the negotiated independence of Northern Ireland. Robert Muldoon, then New Zealand Prime Minister, held talks with representatives of the Peace People in Belfast. One of the items discussed was the possibility of of ex-paramilitaries being allowed to emigrate to New Zealand. Margaret Thatcher, then leader of the Conservative Party, paid a visit to Northern Ireland. The European Commission on Human Rights rejected a case brought on behalf of Republican prisoners taking part in the ‘blanket protest’ at the Maze Prison. The Commission found that the conditions were self-inflicted but the Commission also criticised the British government for being inflexible. 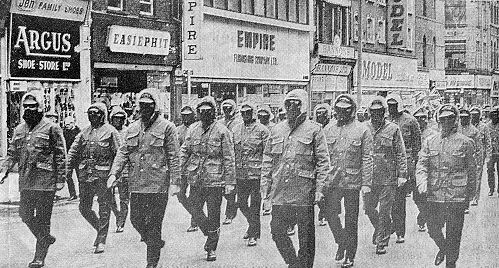 The Irish Republican Army (IRA) issued a statement in which it said: “We are still prepared to enhance the democratic peace process”. In a debate in the House of Commons on the Northern Ireland (Sentences) Bill there were divisions over the issue of the release of paramilitary prisoners. David Trimble, then leader of the Ulster Unionist Party (UUP), and John Taylor, then deputy leader of the UUP, abstained from voting but six UUP Members of Parliament (MPs) voted against the bill along with Conservative MPs. David Trimble, then leader of the Ulster Unionist Party (UUP), invited Jeffrey Donaldson, a critic of the Good Friday Agreement, to rejoin his talks team in preparation for meetings with the British and Irish governments over the 30 June 1999 devolution deadline. Ten men were arrested on both sides of the Border in connection with the bombing of Omagh on 15 August 1998. A further two men were arrested on 21 June 1999. Royal Ulster Constabulary (RUC) officers had to protect children and parents entering the Catholic Holy Cross Girls’ Primary School in north Belfast after they were attacked by Loyalist stone throwers. Police described the attack as “vicious”. The school is on the Ardoyne Road next to the Loyalist Glenbryn estate. Following the incident a blockade of the school developed. [The blockade was to continue each morning during the remainder of the school term (until 29 June 2001) with Loyalists standing across the road and RUC officers refusing Catholic children and their parents permission to proceed along the road to the school. Shot during altercation with Irish Republican Army (IRA) members in Cracked Cup Social Club, Leeson Street, Lower Falls, Belfast. Official Irish Republican Army (OIRA) / Irish Republican Army (IRA) feud. Shot by sniper while on British Army (BA) mobile patrol, Brompton Park, Ardoyne, Belfast. Killed by bomb left in oil can at Shamrock Filling Station, Great Patrick Street, Belfast. Shot at his home, Westland Road, Belfast. Magistrate. Died three months after being shot from passing car while walking along Thomas Street, Portadown, County Armagh. Off duty. Shot while on his way to work, Omagh, County Tyrone. Off duty. Shot at his girlfriend’s home, Nevis Avenue, Strandtown, Belfast.